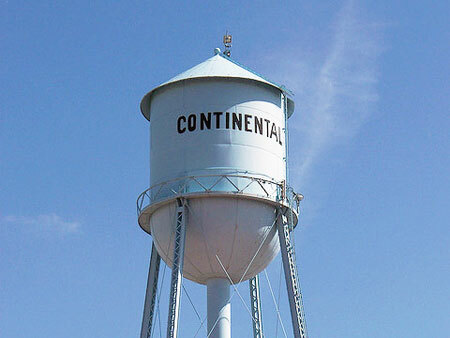 CONTINENTAL — During its regular meeting on March 26, the Continental Village Council hired a new street/water/wastewater department employee and heard the Neighborhood Revitalization Grant projects are close to completion. Council approved employing Tyler Thompson, who will begin work April 1, at a starting wage of $18/hour. After a 90-day probation period, he will be granted a $1/hour increase. Further raises will be tied to Thompson obtaining various licenses. Mike Leis, the village’s operator on record, recommended Thompson for employment. Mayor Matt Miller clarified one of the maintenance employees must acquire a mosquito license, while the other must secure a noxious weed license. Mayor Miller did a walk-through last week with representatives from Schimmoeller Construction and Poggemeyer Design Group to inspect the various Neighborhood Revitalization Grant projects. Miller reported there are a few activities that need to be completed, including finishing the restroom facilities in Sparling Park, putting down pea gravel, and reseeding the areas around the sidewalks. Schimmoeller Construction will return in the next couple weeks to finish the tasks. “It will be fun and exciting once the weather turns to see people taking advantage of the new infrastructure,” Miller commented. Two building permit applications were presented to council. One, for an in-ground pool at 203 North Third Street, was forwarded to the Zoning and Review Board to obtain more information from the property owner. The other permit, for home renovations at 403 South Fifth Street, was approved, pending it meets all zoning requirements. Village Administrator Kathy Prowant reported that the state fire marshal is continuing to investigate the cause of a house fire that occured at the end of February. Although the fire marshal’s probe is close to conclusion, Mayor Miller reminded council the condemnation process for the house cannot begin until the investigation is complete. • learned the water meter replacement project should be starting in April. • heard the maintenance department repaired a leak on Forrest Street that made its way to the surface. As scheduled at 8 p.m., following the council meeting, council held a public hearing regarding an “Application for Placement in an Agricultural District” it had received, concerning 42 acres (two parcels of land). The Troyer family filed the application, as a portion of their farmland is located within the municipality. Benefits of enrolling in an ag district include nuisance suits protection, deferring assessments, and scrutiny of eminent domain acquisitions. Although council waited until 8:15 p.m., no one appeared for the hearing. Had anyone been present, they would have been provided the opportunity to ask questions of council and have a dialogue with council members and village officials. Council now has 30 days from the date of the meeting to take one of three actions: approve the application; modify the application and approve it; or reject the application. Continental Village Council’s next regular meeting will be held on Tuesday, April 9, at 7 p.m. at the town hall.